We live and work in these communities, and we know how to highlight the value and beauty of your home. Our team is made up of experienced and knowledgeable sales people who listen to you, and help you buy or sell your dream home effectively. Lower Commission Saves You Money! Since 1996 Com/Choice has been customizing Creative Commission Choices that allows you the property owner the flexibility to generate the most value for your home. Our Expert Com/Choice agents have an extensive network as well as a grasp of all new technologies that helps buy and sell properties efficiently and effectively. Founded in 1996, ComChoice, an acronym for Commission Choice, works closely with our clients, to determine the best strategy and commission rate to effectively, market and sell their property. Creative Commission Choices allow the property owner the flexibility to generate the most value for their home. Our team of realtors keep informed on market conditions and take part in ongoing seminars and continuing education. This allows us to offer our clients the best possible information and guidance in buying or selling a property. 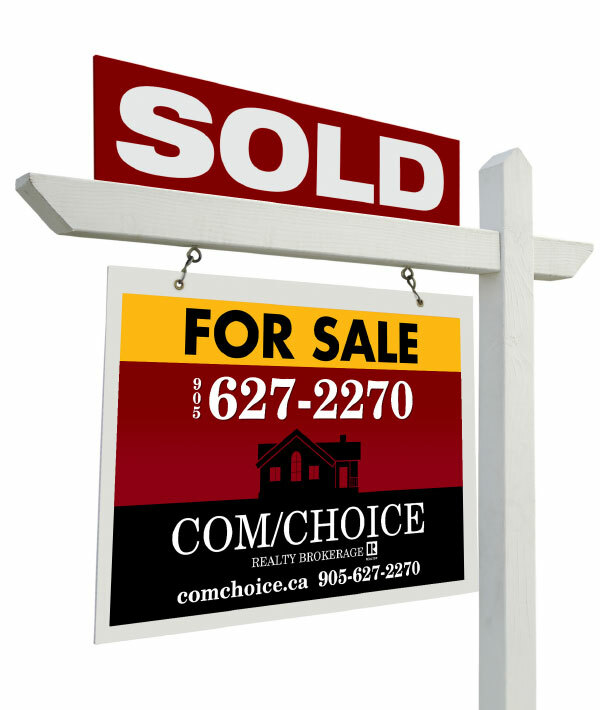 Give us a call and see how having a CHOICE can help you in selling or buying your next property. Since 1996 Com/Choice has achieved maximum value for your property and maintains one of the lowest commission rates in the industry. Creative Commission Choices allow the property owner the flexibility to generate the most value for their home. The house was put on the market in January and sold while we were away in Florida. The sale was very smooth and the best part was it was all put together by the good people at Com/Choice and did not necessitate an early trip home to complete the sale. Are you a first time buyer, trading up to your dream home, an empty nester wanting to downsize, looking for something unique? Our realtors use their extensive experience in the communites we serve to find the perfect property for you. Within the first three listings Melissa sent to us we found something we could afford, in the neighbourhood we preferred... and within a week, we had purchased our first home.